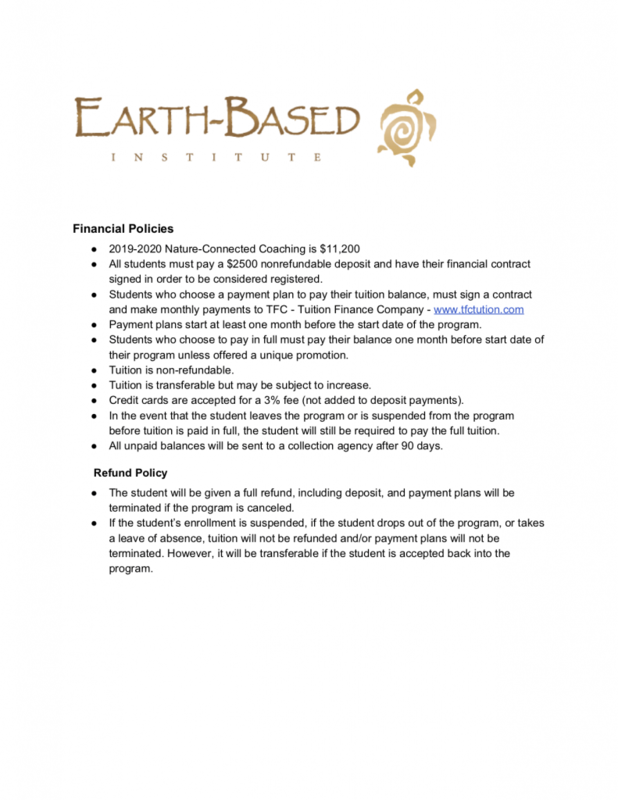 Tuition for most Earth-Based Institute (EBI) courses is payable via our secure online registration shopping cart. See individual course listings for specific tuition requirements and fees. Visit our Course Listings for a complete list of offerings, fees, and discounts. Our certification programs—Nature-Connected Coaching℠ (NCC) and the follow-up Transformation Wilderness Guide (TWG) courses—have limited class sizes and fill up quickly, so we strongly recommend early registration. 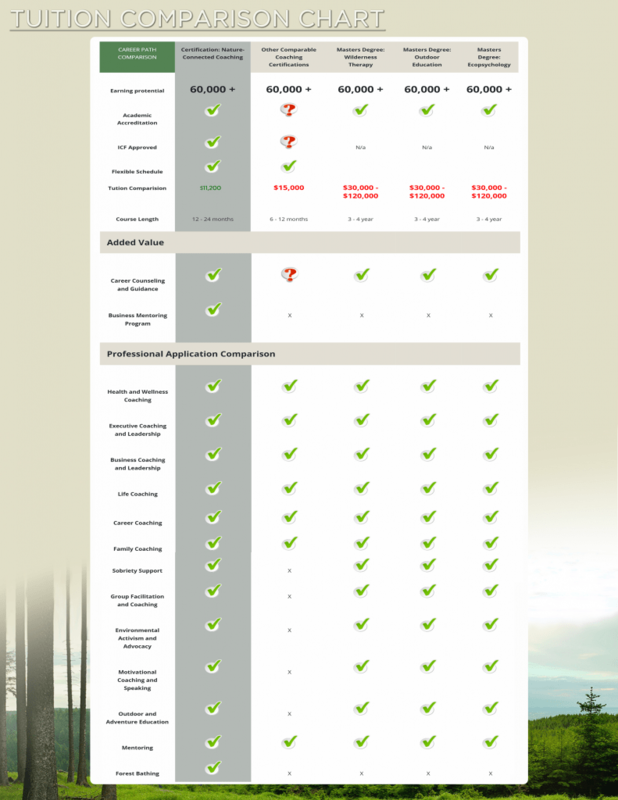 A non-refundable deposit of $2,500 is required to hold your seat in the NCC program or to be placed on a waiting list. Deposits and tuition are non-refundable, but transferable. EBI offers a tuition reduction scholarship of up to $2,500 for the Nature-Connected Coaching℠ program. Scholarships are limited to two per cohort (cohorts range from 8-16 students). Think of an EBI scholarship as our way of investing in your future by reducing your tuition. The application is a business plan that shows forward thinking about how our NCC program will start or improve your business. Once you have paid the initial deposit of $2,500, we offer monthly installment payment plans of 6-24 months. Payment plans are administered through TFC Tuition Financing. Interest rates and fees are based on loan length, not credit score. Payments begin 30 days before the start of your program. Through our affiliation with Western State Colorado University (WSCU), students have found it easy to apply their AmeriCorp Education Awards toward EBI tuition. To access your award, contact WSCU and tell them of your planned coursework with EBI. You will then release the funds to WSCU for both the EBI tuition and the cost of academic credit. WSCU will pay EBI directly. At this time, you may only use the GI Bill to pay for an EBI course if you are registered as an on-campus student at WSCU.